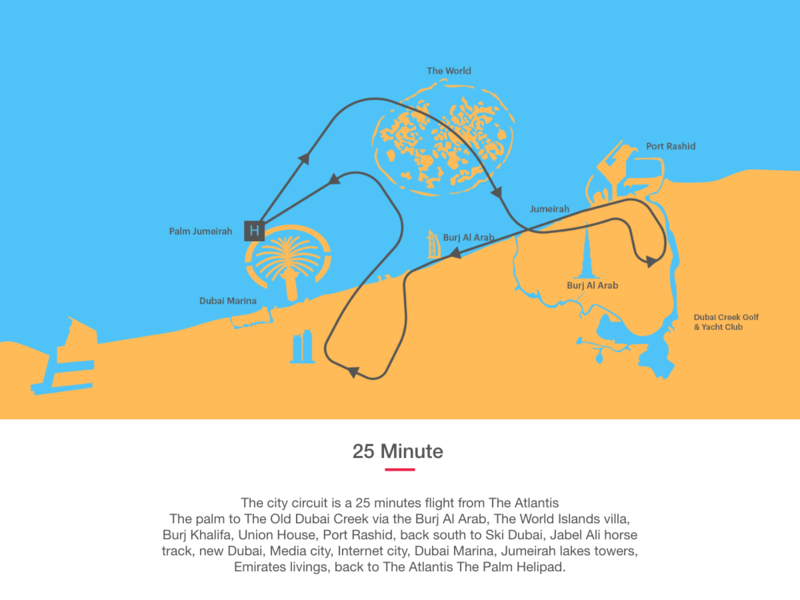 Explore the city with this dynamic 25 minute aerial tour of Dubai as you fly past sights both big and small in one of the most comfortable rides in the sky. Also choose between a free Al Maha Desert Safari or Dhow Dinner Cruise at Dubai Creek with an exclusive offer, only on Headout! Cover all the sights of modern Dubai on this encompassing helicopter tour. Look down on the gorgeous Atlantis the Palm hotel and the Aquaventure water park as you ascend into the skies. Marvel at the innovative World islands as you soar over the Arabian Gulf before flying inland to admire the shining glass.Glide past the awe inspiring buildings and skyscrapers on the iconic Sheik Zayed Road before fluttering over the Dubai Creek, the birthplace of the city. As you return to the helipad, swoop over the Jumeirah beach coastline after passing sights like the Port Rashid and Union House until you reach the striking Burj Al Arab. Cruise inland and gaze upon various attractions like the Jebel Ali Race Course, Jumeirah Lake Towers and Dubai Marina before your tour concludes, leaving your breathless from the 25 minutes of ceaseless wonder. 25-minute flight in a Eurocopter 130. This tour is available seven days a week, every hour from 10 AM to 5 PM. Passenger weight and contact telephone number are mandatory for operational purposes. * The maximum weight of all passengers cannot exceed 400 KGs. If it does, you will be split up into different groups in order to reach capacity. The activity was extremely well organized and enjoyable! This portal has a very convenient booking system. every confirmation is hassle free and all tours are problem free .